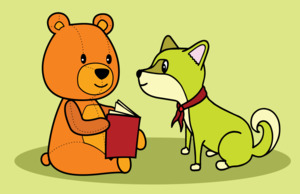 Wed, April 3, 2019 10:30 A.M.
Join us for toddler storytime! Together, we’ll explore stories and activities that help the reading habit in children . This program is intended primarily for children from one to three years of age and their caregivers, but siblings of other ages are welcome. For more information, contact our Children’s Librarian, Tim Horras, at 215-685-9996, or by email at horrast@freelibrary.org.